SERC TALKS: How Do You Use Agile Methods on Highly-Critical Systems that Require Earned Value Management? Phyllis Marbach was involved in establishing how projects using agile methods plan, measure and report their earned value at Boeing. During the course of that work she acquired data from two projects and assisted the Government Accounting Office (GAO) with agile updates to the Scheduling and Cost Guides in 2015. Although, you may have heard that projects developed using agile cannot also use earned value management (EVM), this presentation will show how it can be done. Projects using agile practices should have an identified period of performance. During that period of performance releases are defined that have specific features or capabilities. This is called a Roadmap. Each release is planned during a release planning meeting where dependencies, critical path and float are defined. Each of the features in the Roadmap should be planned into the integrated management schedule as a work package. The detailed tasks of each feature are defined during the release planning and baselined when the work package is opened. Percent complete reporting of that feature, the high value work product in development, can be used for the EVM measures. So, even if a project is using agile practices they can apply EVM in reporting progress against their plans. 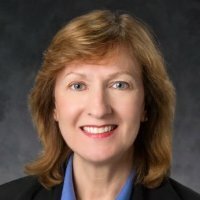 Phyllis R. Marbach retired from The Boeing Company Defense Space and Security Division as a senior software engineer in 2016. Phyllis has over 35 years of experience in aerospace programs including satellite ground stations, chemical lasers, the International Space Station, and various propulsion systems. Phyllis was a Boeing Designated Expert in agile software development, software engineering and systems engineering. The past eight years in her role as an Agile Coach for Boeing, she coached commercial airplane, unmanned air systems, radio, avionics, and research programs. Currently she is a Scaled Agile Framework™ 4 Program Consultant and Immediate Past President of the International Council on Systems Engineering (INCOSE) Los Angeles chapter, the second largest chapter in the United States.